One of the greatest lessons I learned while working on this project was not in regards to the actual website development side of this project, but rather it was in a realization towards eCommerce. 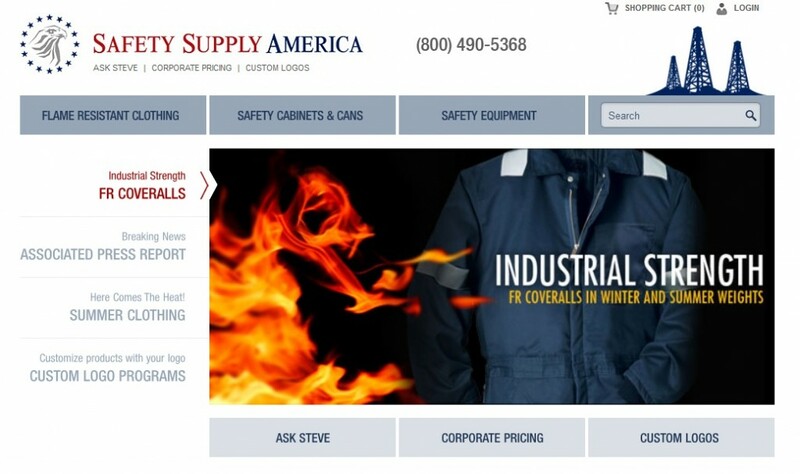 Safety Supply America made me realize the importance of being an expert in the industry and how credibility is the number one factor in selling online. Safety Supply America sells fire resistant clothing to individuals, companies and organizations and their number one selling point is their expertise. This project was unique because the client was already using the ASPdotNet storefront platform, but we had to upgrade from version 8 to version 9. Unlike most other upgrades, which just require some basic installations and setting changes, version 9 of ASPdotNet Storefront was built completely different than version 8 architecturally speaking. This made this project into almost a new development project where we had to remap all of the databases, redesign the entire website and rebuild all page templates. I can not go into details as to the features and functionality we implemented but what I can say is this project went through vigorous QA testing to ensure all aspects of the upgrade and new features worked properly.